The Internet poker debate in the state of California has intensified in August, as state lawmakers are faced with less than a month before the deadline to act on the bills this year, according to the L.A. Times. A group which consists of some of the major card rooms in the state, as well as the Morongo and San Manuel bands of Indians in Southern California, are pushing for taxed and regulated intrastate online poker. The aforementioned tribes have spent more than $640,000 lobbying in 2010 and the first half of 2011, according to the Modesto Bee. 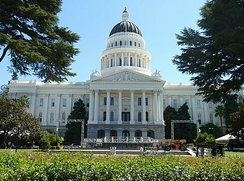 The California Online Poker Association started running TV and radio ads in Sacramento last week. The opposition to the charge is headed by other American Indian tribes who have joined the California Tribal Business Alliance. This past Tuesday the group sent a letter to legislators asking for the two potential online poker measures to be dropped for 2011. “Even though there have been hearings on the matter of intrastate Internet poker, many fiscal, legal, technical and policy related questions must be resolved before adoption of any intrastate Internet gaming legislation. There are numerous stakeholders who stand to be irreparably harmed should legislation be ‘ram-rodded’ through this legislative year and this surely would be a disservice to ALL Californians, Tribal and Non-Tribal, alike,” said the letter from Robert H. Smith, Chairman of the California Tribal Business Alliance. Supporters argue that online poker could bring in about $250 million in tax revenue and help the state’s budget crisis. Sen. Lou Correa’s bill would legalize only online poker, while Sen. Rod Wright is leading legislation that would legalize all forms of Internet gambling. The Sacramento Bee reported that the Assembly’s Governmental Organization Committee will hold a hearing on Internet gambling in Sacramento on Aug 24.
card rooms are raising the rake to play live.. but still better than playing on a internet cardroom in opinion.just to much neg reports of cheating,fraud,and way to easy to fall into trap of playing unfairly.. heck i'd look for a way to cheat if i can poc over 50$ aday! !